From the winter of 2006 through the spring of 2007, two-hundred-fifty Marines from Echo Company, Second Battalion, Fourth Marines fought daily in the dangerous, dense city streets of Ramadi, Iraq during the Multi-National Forces Surge ordered by President George W. Bush. The Marines' mission: to kill or capture anti-Iraqi forces. Their experience: like being in Hell. During his career spanning ten deployments, he operated in over 60 countries worldwide. Throughout his numerous deployments to Iraq, Afghanistan, and the Horn of Africa he planned, led, and conducted hundreds of combat missions under some of the most austere and challenging conditions. 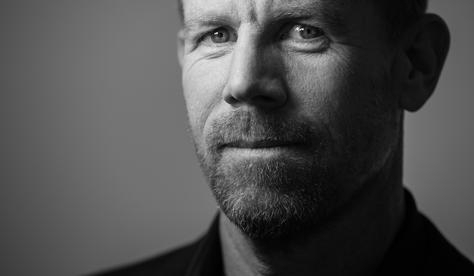 Scott is a published author since 2005. 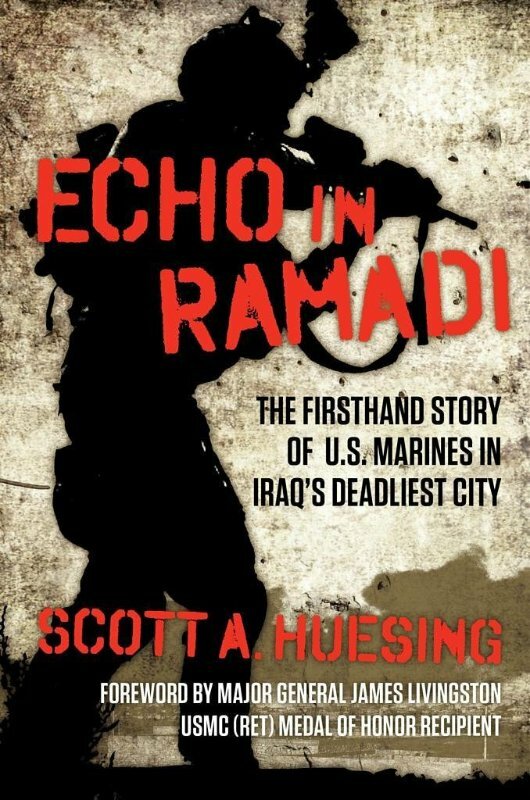 Echo in Ramadi is a snapshot in time that changed the face of operations on the battlefield; a captivating story of Echo Company, 2nd Battalion, 4th Marines during the Second Battle of Ramadi in support of the Multi-National Forces (MNF) Surge Strategy in 2006. His true-life account provides keen insights into what may be an unfamiliar world to readers, but very familiar to those, like Scott, who lived it and endured this historic fight. Echo in Ramadi is a firsthand account of the U.S. Marines as they fought in the deadliest city of Iraq. He conducted over 75 interviews with his Marines, soldiers and Gold Star families to honor their sacrifices both on and off the battlefield. His story shares not only the firefights and friction but also the tragic aftermath of war and healing of those that continue to battle with the effects of Post Traumatic Stress. The foreword, written by Major General James Livingston (Medal of Honor Recipient), Vietnam Veteran and former Echo Company Commander, speaks volumes. Praise for Echo in Ramadi includes LtCol Oliver North, political commentator and host of War Stories on the Fox News Channel. Dale Dye, Actor, and decorated Vietnam Veteran. Best-selling authors Bing West, Jack Coughlin, Robin Hutton, Charles Sasser. Most important to Scott are the endorsements from his Marines and Chris Libby, Gold Star brother of Corporal Dustin J. Libby (KIA 6 December 2006). Echo in Ramadi was written to honor the sacrifices and spirit of his Marines and the families they supported - it is his tribute to them and honor to tell this great story. Readers will no doubt feel the pain, emotion, laughter, intensity, and friction that Scott describes in unvarnished detail. We discuss his career path from enlisted Marine to an officer as he led Echo Company through the bloody streets of Ramadi - and the qualities that ultimately shaped his leadership style and decisions to write about this historic battle. He shares his process of writing. Describing how putting pen to paper can serve as an outlet for others to heal - helping veterans cope with and share the unnatural acts they faced on the battlefield. Scott describes with humility how he learned from his examples of leadership over the span of his career - both good and bad. Listeners will also gain perspective on the importance of learning from the living warriors from the past battles and how to tap into those of the Greatest Generation while they are still alive. He shares his network skills and how to leverage tools and programs available to veteran artists, such as The Veterans Writer’s Project to help move forward with personal goals in writing, speaking, and life. Finally, Scott talks about his charity, Save the Brave, a certified 501(c)3 serving as the Executive Director. Connecting veterans through outreach bringing service members together to share camaraderie long after they leave the service and no longer wear the uniform. Providing outreach programs provided by Stoked on Fishing hosted by Fox West Sports. Along with his selfless work with Save the Brave, he is also the President of the 2nd Battalion, 4th Marines Association, a non-profit that helps Veterans and active duty Marines and is the Vice President on the Board of the KD Poynter Legacy Foundation to provide funds and support to all Veterans. He is a sought-out public speaker and a member of Bravo 748, a military speaking consortium and a featured author with Patriot Authors Unsung online magazine. I had a great conversation with Scott, and from it—I can easily see why if anyone can show the world that heroes are real… he is the one to do it.